We Golden Dice Films, Norway have acquired the entire Nordic distribution rights of NTR’s 25th movie “Nannaku Prematho” with director Sukumar, The first time combination of NTR & Sukumar going to rock the box office. The new look of NTR in this movie have already created a big buzz in public and online, also the director Sukumar’s interesting characterization will be a biggest asset for the movie. “Nannaku Prematho” casts Rakul Preet Singh opposite Young Tiger NTR. The film also boasts of actors like Jagapathi Babu and Rajendra Prasad. Music is being composed by top rock star music director Devi Sri Prasad with his technical crew. 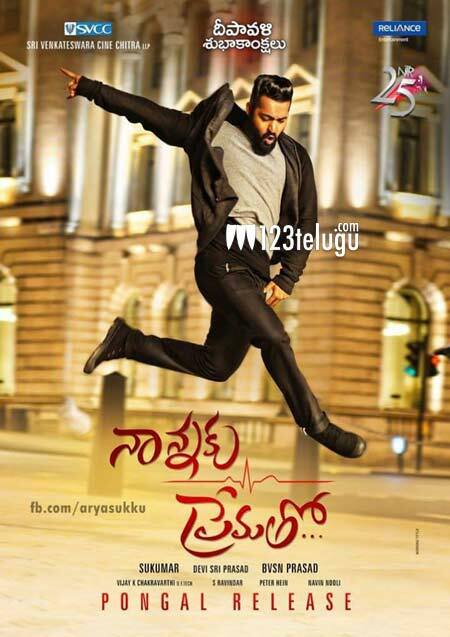 Nannaku Prematho is produced by the blockbuster producer BVSN Prasad. This is a complete family entertainer blended with mass, comedy and action. We are confident that Nannaku Prematho will create magic at the overseas and become a blockbuster hit! Our hearty thanks to Euro Tolly for giving us the opportunity to distribute the movie in Nordic countries and making us part of this prestigious project.